Welcome!! This is the third post of the Cloud Series announced earlier, and I am so excited continuing it. 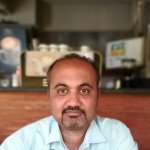 In the previous post, last week, we have discussed and understand differences between Cloud, On-Prem and Hosted environment. This week, in this post we will be understanding different cloud services offering. Let’s first understand what is cloud services? Basically it is a terminology used for the IT services or resources provided to an organization to run their business successfully, securely over the internet. The word “Cloud” was coined by George Favaloro in 1996 . Later it is used by other companies and is in use widely for the service offering. These services are not only provided but companies also provide mechanism for them easy to deploy and managing various resources offered over the internet. The main characteristics of cloud is that it is really very to scale up and scale down as needed, and one can easily add or remove services or resources as per the need of the business. With cloud offering, the expenses of using these services or resources are occur only when it is used and how much it is used, basically a subscription fees which is generated on a monthly basis. This way an organization don’t have to bother about the expensive licensing cost, and managing resources or managing the IT staff. 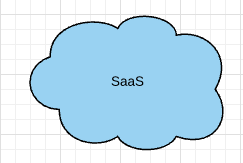 There are Cloud services which are widely used of three types mainly – SaaS, PaaS and IaaS. Let us understand each of this in brief. This is very popular and widely used offering on the cloud. In this offering a vendor or service provider gives an interface of the software to an organization’s end user or an individual users. All the resources are managed by the vendor or service provider. The best example I can give you is GMAIL or Office 365 subscription. 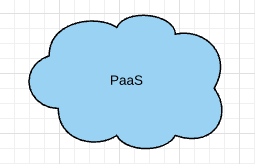 Platform as a Service aka PaaS is also widely used by many organizations. In this offering, service provider or vendor provides the access to the servers or an operating system that can be utilized to build or deploy an application. The hardware is managed and owned by the vendor. The best example here is Azure VM or Amazon Workspace. This service offering provides companies an ability to select what type of hardware they will need to serve their business right. They can choose servers, storage, networking or/and firewall and then can scale up or scale down infrastructure they have configured on demand. And they will be charged on basis of what has been used by them. This offering is gaining popularity in the mid segment as it will help reduce cost for IT staff and managing data center. The best example is again MS Azure offering or Amazon. Let me know if I am able to explain this in easy manner, and how do you like this post.